The painting is intricately detailed and the obverse side is the mint condition Great Seal of the United States, as on all Kennedy half-dollars. 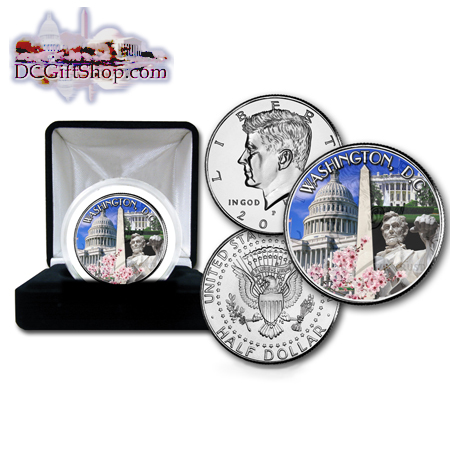 The coin comes sealed in a hard shell, cushioned plastic case which can be opened for closer examination of the coin. Makes a great gift for kids, patriots and coin collectors.